Calgary, AB. Summers in Calgary offer a season of events and festivals that celebrate the best of our city’s arts, culture, history and traditions. AVLI on Atlantic is the newest development in Calgary’s resurgent first neighbourhood – Inglewood – combining the best of modern luxury with the main-street culture of a welcoming, thriving community. AVLI on Atlantic offers owners the unique ability to design their own living space and build a unit that reflects their personal tastes, preferences, and desires. Custom finishes, layouts, design choices, and options mean that no two units will be the same in this old-meets-new development in the heart of historic Inglewood. Photo caption: Concept image of AVLI on Atlantic. The condo development is along 9th Ave, central to some of the best aspects of Inglewood. Every room has been designed to be light, fresh, functional with a handcrafted feel. The first 75 per cent of homeowners have been working with the Avli design team to customize their space to their individual style and artistic expression. As completion moves closer, the remaining buyers will be provided with an unique, top-end luxury design. The emergence of the art scene in Inglewood has played a large part in Wright’s vision for AVLI on Atlantic. Wright knows Inglewood as her firm has been based in Inglewood for almost seven years and has watched the neighbourhood transform as great places to eat, shop and visit have appeared. 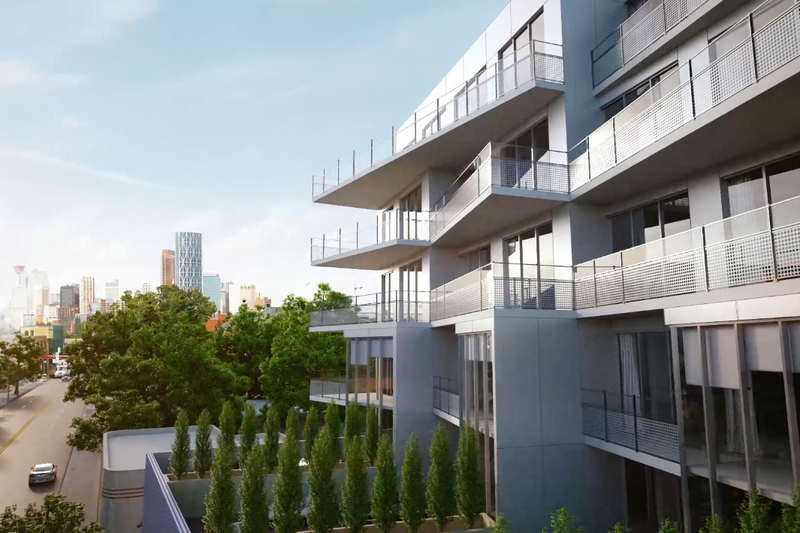 “We want AVLI on Atlantic to match the unique personalities and tastes of those who choose to live in the unique community of Inglewood,” says Wright. Inglewood bursts to life this month with a packed schedule of events and festivals that brings together the wider community and showcases the very best of the city’s energy and welcoming spirit. AVLI on Atlantic is right at the centre of these events and gives owners the dual advantages of being both in the heart of the vibrancy while having someplace unique and perfectly designed to welcome you home when the day is done. This new concrete development – the first of its kind in Inglewood – is a quick walk to Calgary’s Stampede grounds and the homes of the Greatest Outdoor Show on Earth! Unlike other parts of Calgary, Inglewood is a neighbourhood that embodies a small-town feel without losing access to an upmarket lifestyle. ‘Mom and Pop’ stores, unique restaurants, and superb entertainment options all define today’s Inglewood and make AVLI on Atlantic the right choice for those looking for customized luxury and trendy living without the noise and hassle of living downtown. “We believe AVLI on Atlantic will be the keystone of more unique developments in Inglewood and become the address of choice for those who want to enjoy events and community life while having a retreat of personalized design in the heart of Calgary’s first neighbourhood”, said Brian Kernick, President of Greenview Developments. For more information, visit http://avlicondos.com or register at http://www.AVLIcondos.ca/register/. The luxurious and innovative exterior design comes from Sturgess Architects, the minds that developed the Jasper National Parks Iconic Glacier Skywalk. Greenview Developments, the developers behind AVLI, have been involved in development, construction, and management of residential, commercial, industrial and hotels both in Canada and abroad for 25 years. Greenview works to be on the cusp of leading-edge design, and building techniques to reduce environmental impacts. The company pioneered the first R2000 manufactured home in Western Canada and was recognized for its innovation with a 125-home project in Canmore, Alberta, which received the mayor’s award for design and green building practices.